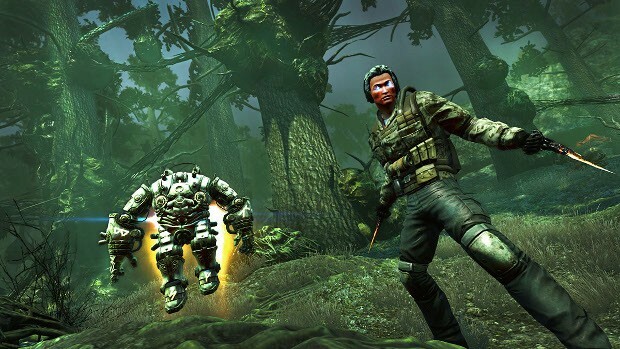 Secret World Legends — the action RPG reboot of Funcom’s The Secret World MMO may have officially been live for a month, but it’s just now made its way to Steam. Funcom had originally planned to launch the Steam client for the game at the same time as their own but elected to hold back on the Steam launch due to worries of competing with other big games slated to hit the service at that time. So, the game went live on Steam today. As noted in a previous post, players of the original Secret World game may automatically be moved to the Steam client if they played via Valve’s service. However, there are ways to stay on the existing Funcom client if you want to. In addition to today’s launch, Funcom is also kicking off the first event in the new game — although TSW veterans will likely be very familiar with it. The Whispering Tide kicks off tomorrow (August 1) and will last until the 15th. During the event, players can collect daily rewards specific to the event in addition to their normal daily rewards. To open these rewards, known as Cosmic Relics, players must kill bosses and receive their power. These relics contain special rewards including cosmetics, titles, and a pet. The good news is that you only need to open ten relics to receive all the items. So it’s okay to miss a day of the event if you need to.